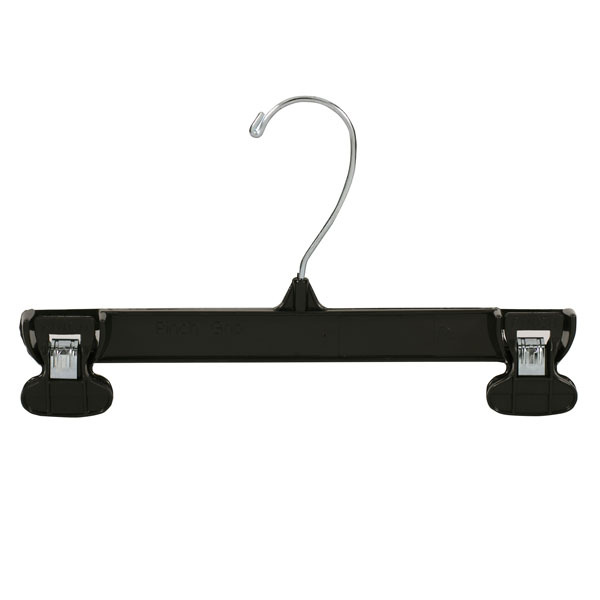 Sturdy black plastic clothes hangers have metal swivel hooks and padded clips. Hooks designed to hold size hanger markers, sold separately. Search size markers for our complete selection.